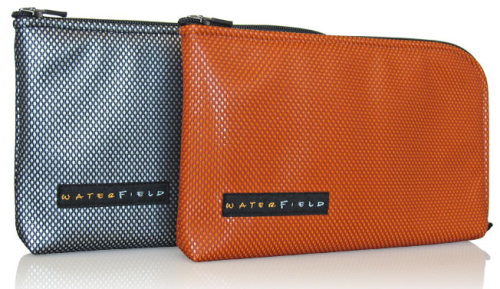 WaterField covers just about every Apple product there is with their fantastic quality cases and bags. The Apple TV has been left case-less ever since it was announced until today. WaterField has announced a new carrying solution for Apple's little black box called the Apple TV Case. More like a gadget bag, the Apple TV Case was created due to large demand, so it seems that there are many people out there that never leave the house without their little black Apple TV. The Apple TV Case features 4 soft, scratch-free interior pockets that are custom fitted to fit the black Apple TV, as well as the aluminum remote, HDMI cable and the power cord. It's available right now in tangerine and silver colors for $45.